OnePlus 6 Confirmed To Have Snapdragon 845, Up To 8GB RAM & 256GB Storage - AndroGuider | One Stop For The Techy You! OnePlus' upcoming flagship - the OnePlus 6 - has been a lot in the news lately. 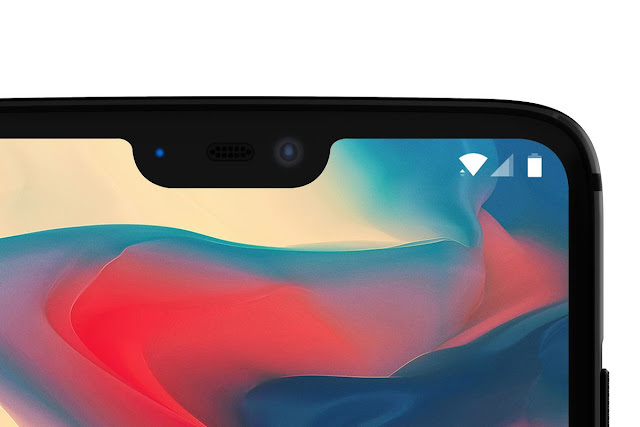 Last week OnePlus confirmed to The Verge that the OnePlus 6 will have a notch and yesterday the company corroborated the name of their next smartphone and opened forums for the same. In the latest revelation about the 6, OnePlus has divulged that the smartphone will have "Qualcomm Snapdragon 845 paired with up to 8GB of RAM and 256GB of storage." OnePlus' wording of "up to 8GB of RAM and 256GB of storage" indicates that there will be two or more models of the 6. OnePlus' phones of yesteryear, the 5 and the 5T, were available in two variants - one with 6GB RAM and 64GB storage (Rs 32,999/$499), and other with 8GB RAM and 128GB storage (Rs 37,999/$559). Now that there is a 256GB model, I expect the 6 to be available in three variants of 6GB/64GB, 6GB/128GB and 8GB/256GB. According to a report from GizmoChina, the 64GB variant of the 6 will be priced at CNY 3,299 (Rs 34,200/$523), the 128GB model will cost CNY 3,799 (Rs 39,300/$602), and the 256GB variant will be the costliest of the lot at CNY 4,399 (Rs 45,600/$697). OnePlus has slowly and steadily been increasing the price of its smartphones. The 'One' was OnePlus' first smartphone at $300. Since the One's launch in 2014, each subsequent OnePlus flagship has been costlier than its predecessor. The very fact that OnePlus has started talking about its upcoming smartphone means that we are nearing a public release. Last year, the OnePlus 5 was launched on June 22 and the OnePlus 5T was released on November 16. If OnePlus keeps up with releasing a new smartphone every six months, we should be having an announcement for the 6 by the end of the month.